There is so much happening in the London food scene that it’s sometimes hard to keep up. Every few months there’s a new trend or restaurant style that borders on heresy to miss. 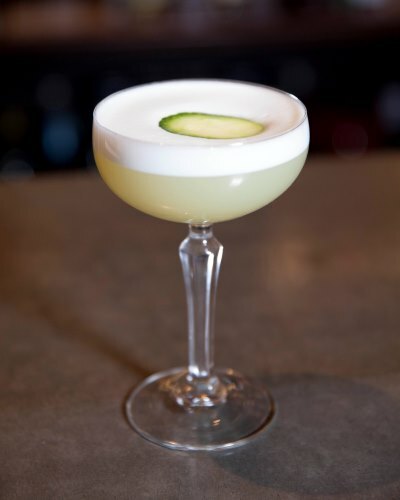 If it’s not Nikkei (South American and Asian Fusion), Tapas, Burgers, Street Feast, Kingly Court, a pop-up, something to do with Jason Atherton or a meat Mecca – there will surely be some new-fangled craze that captures the attention of all self-labelled ‘foodies’. This sounds like a complaint but is far from it – I love it – it’s fast, it’s cool and it keeps restaurants on their toes – encouraging them to keep up with the times. But despite all of this we mustn’t forget the classics – the dishes that conjure nostalgia – the ones that have powered through the test of time and trends. 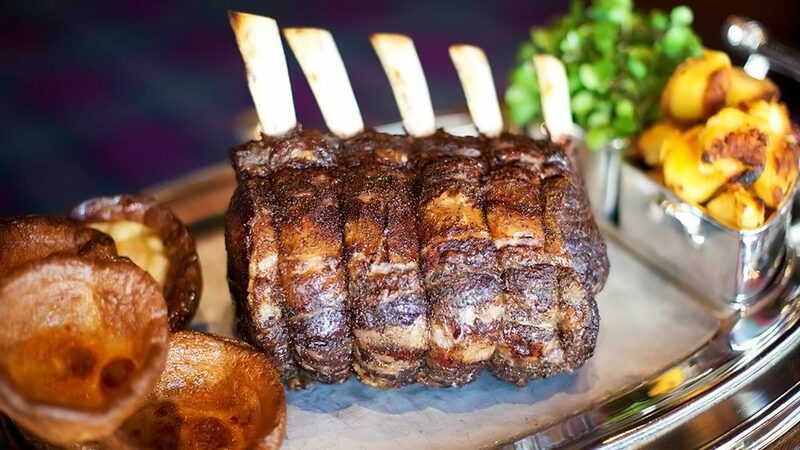 Undeniably, the one meal that ticks every box of the ‘classic’ variety is the Sunday Roast. And this is consistent across the food spectrum – from diners to Michelin Star chefs – The Sunday Roast is one of the most beloved meals in a City that offers so much by way of variety. I’ve had the pleasure of interviewing a whole host of Executive Chefs, Restaurateurs, Owners and Pop-Up creators; one question I invariable ask is – “What would be your last supper and who would cook it?” (without exaggerating for effect) 95% of people asked answered – A full Sunday Roast, cooked by my wife or mum. 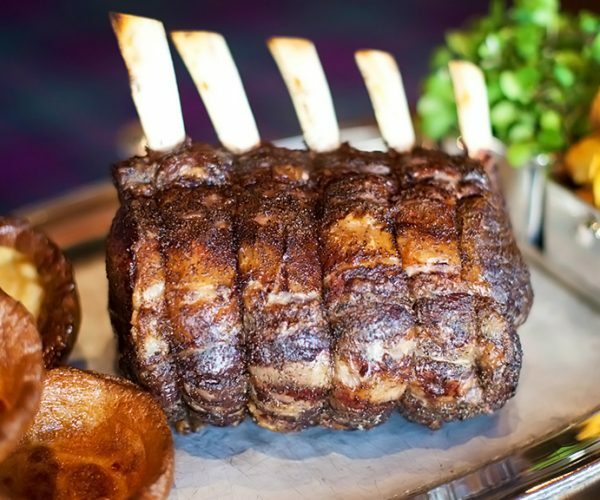 Now though it’s not particularly difficult to deliver a tasty Sunday Roast – everyone’s is different. Some people like huge Yorkshire Puddings, others don’t; some like disturbingly thick gravy, others like it runny; some want crispy on crunchy potatoes, the rest prefer soft soakable spuds; most opt for the Roast Rib of Beef, whereas the Roast Chicken or Lamb is never met wit derision. There really is no right or wrong answer. 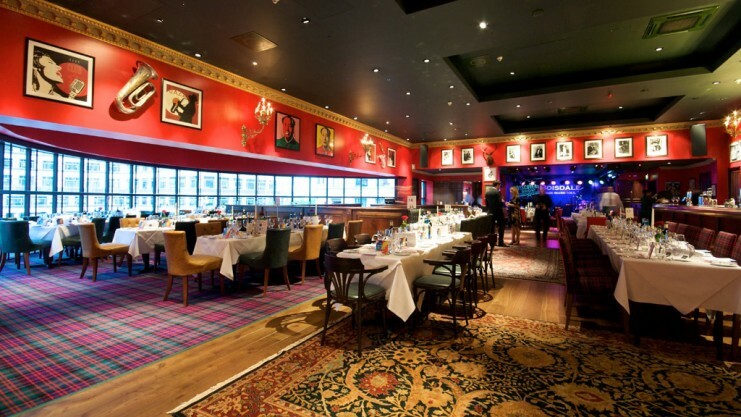 Boisdale of Canary Wharf promises to offer a wide and wholesome variety for the Sunday Lunch, supplemented by a spot of live jazz – I couldn’t resist so I went to check it out. Now, Canary Wharf isn’t a place I would frequent – during the week it’s a great big whopping stampede of bankers – tens of thousands of tie-clad professionals stampede this part of London naturally preventing it from cultivating any form of culture or image that isn’t associated with the City. The weekends are a different beast – it devolves into a veritable ghost town. Now this is when I would suggest venturing here – though there is legitimately nothing natural thriving here – you are still able to soak in the spectacle of architecture that Canary Wharf has become (and it is spectacular). 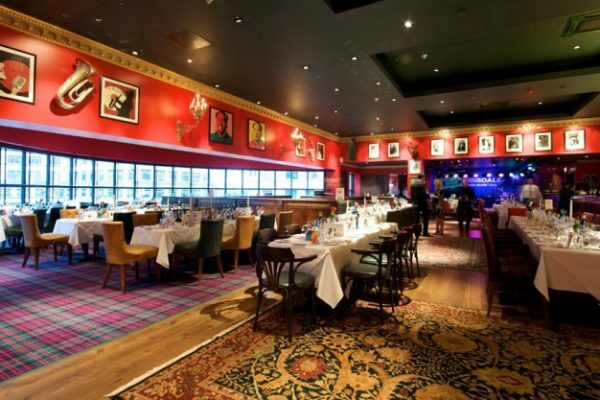 Boisdale Canary Wharf is housed on the first floor of Cabot’s place and not only is it responsible for having one of the largest dining rooms you’re likely to find in any restaurant but commands some of the best views you’ll find from a first floor window. A window seat (which there are unsurprisingly no sortage of, give the restaurants sheer size) overlooks Cabot Square Fountain, and pierces Canary Wharf – through West India Avenue and eventually the Thames (depending on the quality of eyesight or camera lens). 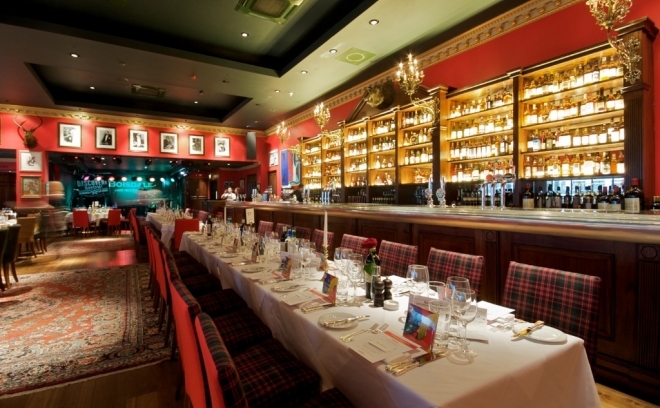 The décor falls in line with Boisdale’s predecessor – a nod to Scottish decadence with a classic and warm finish. The venue is adorned with fine art, decorative stag busts and hunting horns. 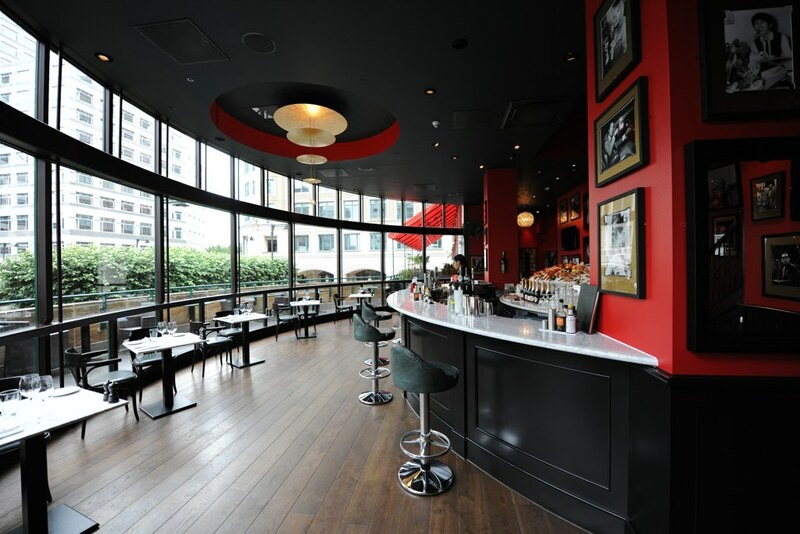 The bar occupies one length of the space, flaunting the dissyingly abundant collection of whiskey. There’s a live music stage that is discreetly positioned In the far corner of the space allowing guests to choose between a live music show or just having background jazz. The music is a wonderful supplement to proceedings and is a welcomed backdrop to welcoming the evenings, as the lazy Sunday lunch becomes early supper. The arrival of the late afternoon also allows Cabot Square to light up in all it’s glory – with giant spot-lit fountain begins to flaunt. its size. Guests are a mixed bunch – there’s a mixture of people on dates, family outings, out-of-towners, and client meals (it would seem the residue of the week-day goings on are hard to wash off). Once seated, a perusal of the menu makes pleasant reading. The roasts on offer – Fish of the day from certified & sustainable, Roast British outdoor-reared chicken, Slow roast shoulder rare-breed ‘saddleback’ pork, Roast rib of aged Tee Valley Charolais beef (All roasts served with duck fat roast potatoes, bunch carrots, wilted greens & red wine gravy). I opt for the Roast Beef (medium rare) – thick cuts of succulent beef delivered on a plate so bountiful, it could easily pass for a sharing platter. The beef is cooked perfectly, the potatoes are just the way I lke them (triple cooked with a fluffy centre but crisp coat). The gravy is deliciously thick and sweet, and is subsequently present at every mouthful. There could have been veggies (I was going through a rather short-lived ‘eat healthy’ stage at the time) but who’s to complain, with the mountain of meat that stood before me. Other noteworthy components of the meal were the Blackface haggis Scotch hen’s egg celeriac & apple salad, basil & apple dressing and the Sticky toffee pudding caramel sauce, Cornish clotted cream and the Selection of British cheese from the food-envy invoking cheese trolley. 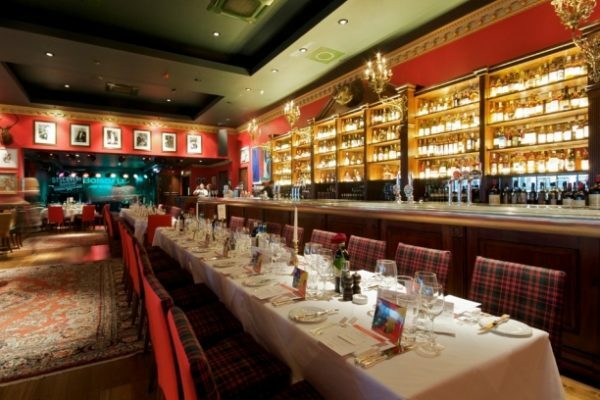 Sunday Lunch at Boisdale Canary Wharf is a lovely way to spend the afternoon. 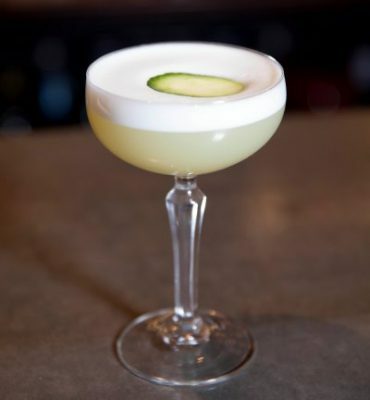 In an industry dominated by fast food, fast queues and fast music – enjoying an evening of slow-cooking, chilled jazz music (and without being kicked off your table after two hours) and a warm atmosphere seems immune to suffer the perils of London’s ever-changing fads. Long live the roast! !